Earlier today we reported on the pricing, availability and specs of AMD's Ryzen Threadripper processors. While we have just started knuckling down to some serious testing of Threadripper processors here at HEXUS towers, and reviews will published from 10th August onwards, there was a special OC event at Capsaicin SIGGRAPH 2017. Under LN2 cooling and with various other overclocker tweaks a 16-core AMD Ryzen Threadripper 1950X has been coaxed to break 5.2GHz. As a reminder, the stock clocked 1950X runs at base/turbo clocks of 3.4GHz/4.0GHz so the overclock is a significant one. Furthermore, the overclock was achieved with all 16 cores active. 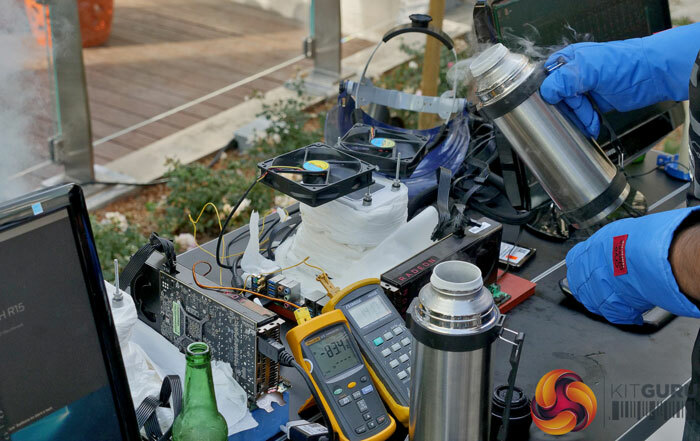 According to KitGuru, which took some nice photos of the LN2 cooling event, alongside the lashings of LN2, the system required "1.6 Volts to the CPU (1.55V plus 50mV offset) and… PCIe needs to be turned down from Gen 3 for maximum speed". The overclockers fired up the popular Cinebench application to test the extreme cooled Threadripper's performance. At 4.8GHz the processor achieved 3688cb, pushed even further to 5.2GHz (x52 multiplier on 100MHz bus speed) the 16-core CPU's score was boosted to an impressive 4122cb. 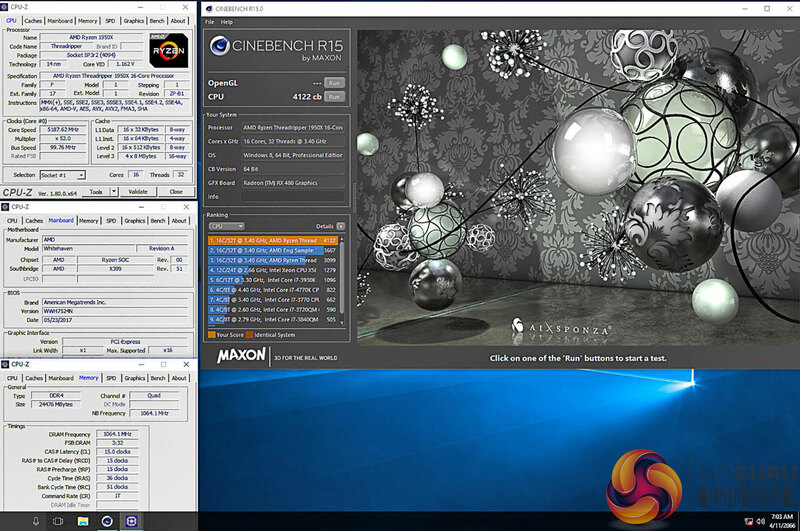 TechPowerUp notes that the previous high for a 16-core CPU in Cinebench was 2867cb. Info sources and images: KitGuru and TPU. Holy crap, a >5GHz clock on 16 cores is insane! this makes it the fastest processor on earth? that is very very fast! 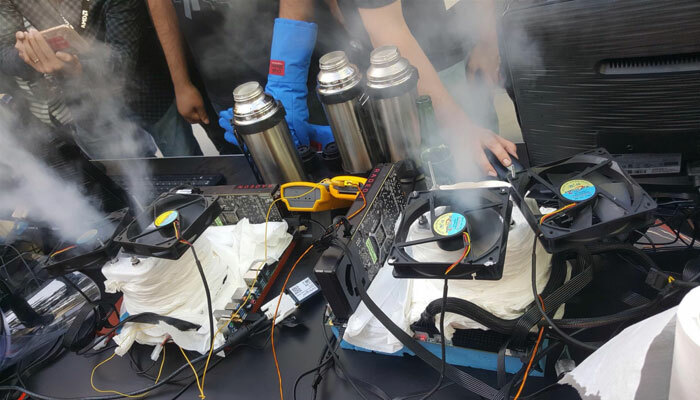 Hate claims about overclocks on LN2, it's pointless in a way, only heads up is with enough cold air or water pumps going mental you can get higher than stock clock speed. Yes it overclocks but by how much for the average user or even semi-normal enthusiast … who knows?. As far as LN2 shows me . who cares?, you cant run it 24/7 with out staying up all night and topping the levels up and I doubt it would even work for half that time.